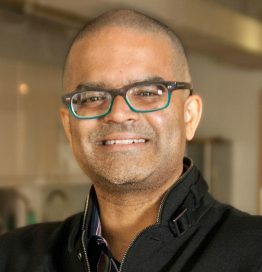 Patañjali Chary is currently the Vice President of User Experience at Ellie Mae, Inc., where he leads a world-class UX team focused on the nexus of AI, Machine Learning and Design in the mortgage banking platform space. Prior to joining Ellie Mae, Patañjali was the Vice President of User Experience at Financeit, a Goldman Sachs funded point-of-sale lending firm. Before Financeit, he spent 3 years as the first Vice President of User Experience at Ultimate Software in Weston, FL. He joined Ultimate in 2012 after last serving as Chief Evangelist, User Experience at Oracle, where he lead numerous user experience efforts at Oracle for over 12 years. His past stints have also included senior user experience leadership roles at Microsoft and at Kent Ridge Digital Labs in Singapore. Patañjali holds an MBA from both Columbia Business School, and UC Berkeley Haas School of Business, as well as a B.Sc. (Hons.) in Computer Science & Artificial Intelligence from the University of Toronto, Canada. Separately, he is also a Certified Natural Chef, and completed his externship at the world-renowned Michelin-starred restaurant Chez Panisse, in Berkeley, CA.